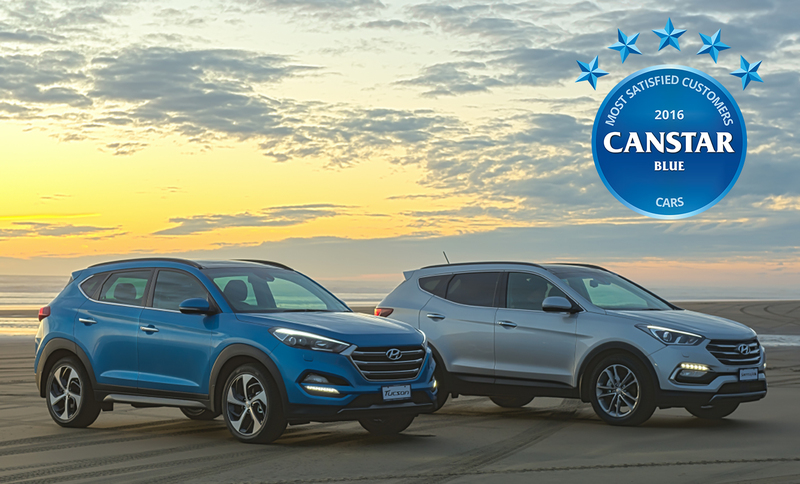 Consumer research organisation Canstar Blue has named Hyundai New Zealand a 2016 winner of its Most Satisfied Customers award in the automotive category. In its just-completed customer satisfaction survey for New Cars in New Zealand, Canstar found Hyundai scored a perfect set of five-star results across all six categories – overall satisfaction, value for money, point of sale, after sale service, reliability and performance – putting the company ahead of all other car brands surveyed. It is rare for any brand to score a clean sweep of the customer satisfaction categories. Hyundai New Zealand General Manager Andy Sinclair is elated at the news and says the result is a testament to the strong relationship between Hyundai New Zealand, its dealer network, staff and most importantly customers. “We’re very pleased with this award. This is a fantastic result in such a competitive and crowded market and a resounding endorsement of the hard work we put in every day to provide world-class customer service across our network of dealers,” he said. The independent, objective survey is conducted on Canstar’s behalf by Iview (part of Ipsos, a global market leading research organisation) across a representative sample of 2,500 New Zealanders and is based on 780 consumer responses. This was up significantly on response rates in recent years. “Hyundai New Zealand has performed strongly across all aspects of the survey which is a phenomenal outcome. We are very grateful to all our customers who took part in the survey and to our staff throughout New Zealand for being such excellent ambassadors for the Hyundai brand,” said Mr Sinclair.